Last Hope is a live action role play (LARP) that is hosted at locations throughout south central Wisconsin with one goal in mind; to bring role players together with immersive, high quality and rich events with rules that are simple enough for anyone to learn and involved enough for veteran players. Whether you are experienced at LARPs or brand new Last Hope will have something for you. 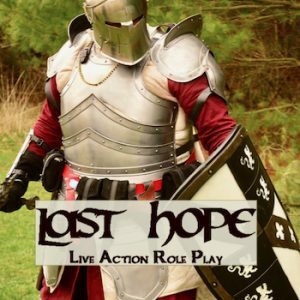 Join Last Hope LARP at anytime throughout the weekend for combat and magic training, plus a chance to show off your skills! Once your training is complete you will be invited to fight with us in any of our battle scenarios held daily. Spectators welcome!